There's putting a twist on tacos, and then there's turning them on their head completely. The recipe that follows does the latter. This is a recipe that can make vegetarians truly rejoice because now they can have their tacos and eat them too! You won't find any beef, chicken, or even fish in these tacos. Instead, quinoa steps in to provide a kind of taco you may never have imagined. 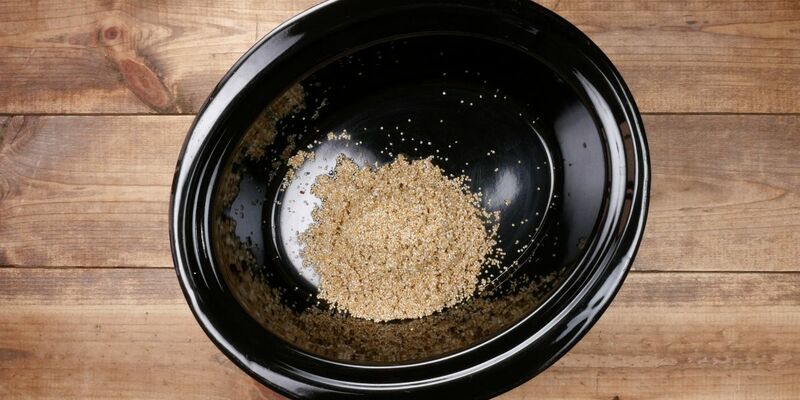 Quinoa does extremely well in the slow cooker. Because quinoa is actually a seed and not a grain, it's just a little firmer than rice. So you know it won't turn to mush in the slow cooker. And because that seed is packed with protein, it makes the perfect stand-in for any meat you'd traditionally find in tacos. As it turns out, a quinoa taco may just be the perfect taco. Rinse quinoa in a fine mesh strainer to get rid of the bitter coating. Place all ingredients, except tortillas and cilantro, into a 6-quart slow cooker and mix all ingredients together well. Place lid on slow cooker and cook on high for 3 hours. 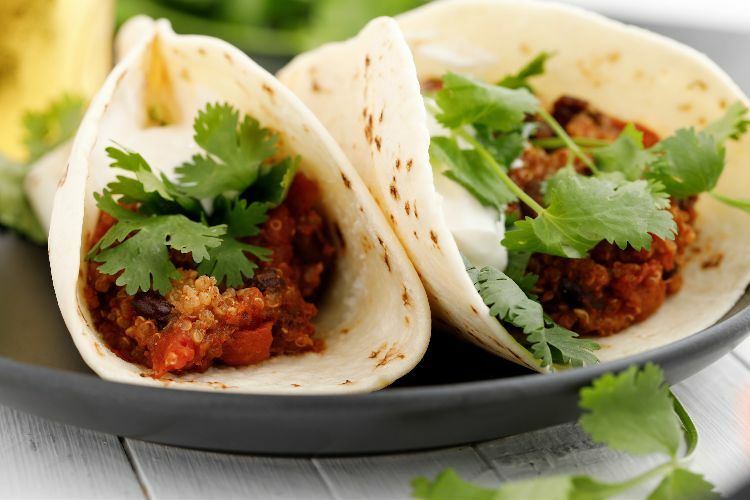 Spoon quinoa mixture into flour tortillas and garnish with torn cilantro leaves.